So, back in April at CF clinic, Azer was evaluated for the first time by the team's new Physical Therapist. She noted that his posture was very poor. His back and shoulders were slouched similar to an elderly person, and his range of motion was limited. Azer also has had some issues because of overuse from playing baseball over the years. She said that poor posture in CF can begin with excessive coughing, and also that having a G-tube can attribute to poor core strength. She did a bunch of measurements, and a few exercises with him. 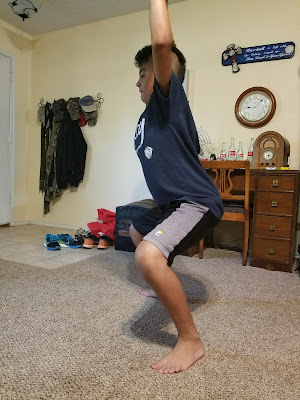 She then sent us home with exercises to do everyday that help strengthen his core and back to help his Scoliosis, stretch out tight muscles, and strengthen his Osgood-Schlatter's disease knee. Within a few weeks, Azer began to have back pain. 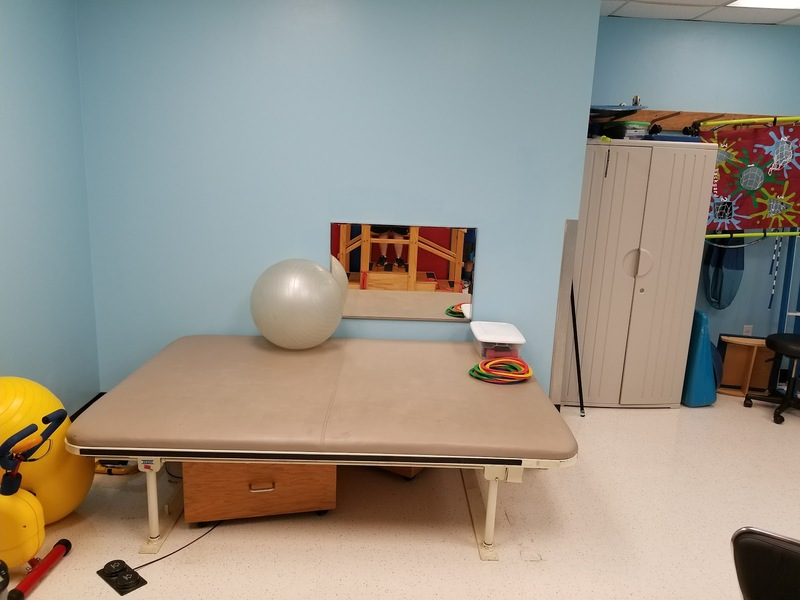 Through communication with the Physical Therapist, she determined he would need to be worked on more frequently than just at clinic. We began seeing her once a week at first, and now it is every two weeks. She was able to clear up his back pain within a few weeks and also make progress in his strength. This physical therapy room is awesome. It has lots of space and the cushioned table is height adjustable. It is challenging to do these exercises and stretches every single day. It takes up time, and sometimes he is physically tired the next day depending on what we did the day before. However, I wish I had a picture of how his back and shoulders looked before we started PT. The change has been dramatic. She re-measured him a few weeks ago, and basically his scapulars are an inch closer together than they were before. An inch! 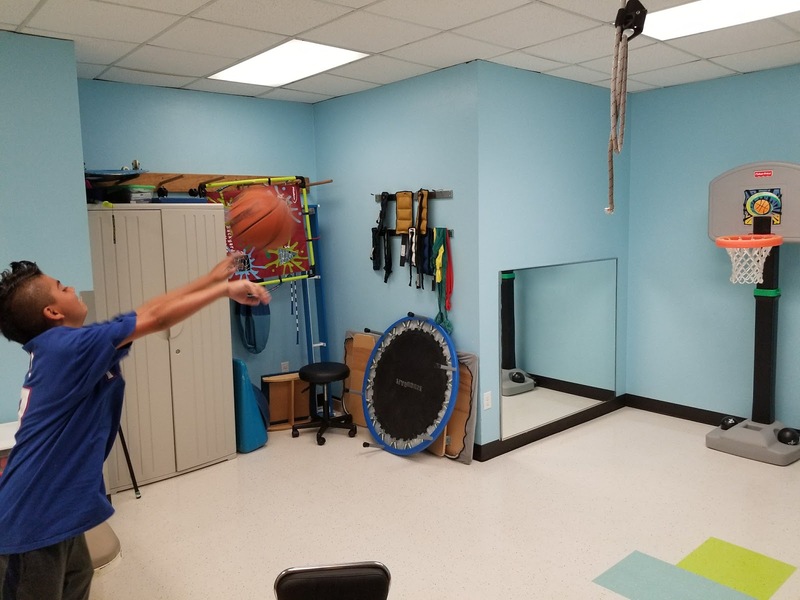 Within a few weeks of starting exercises, even Azer noticed that he felt a little taller. He is visibly standing up straighter. His muscle definition is getting to be noticeable as well. 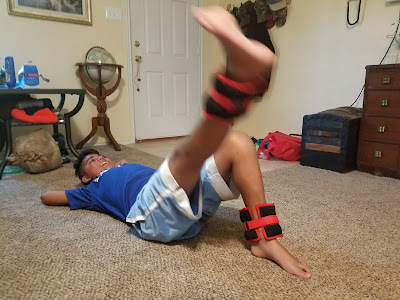 His Osgood-Schlatter's (we joke about it and call it Schlotzky's) knee is also improving. 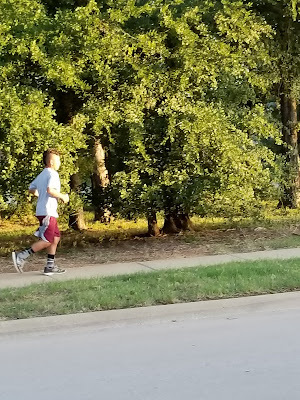 He has been running 3x a week during the summer, and his knee hasn't been hurting. 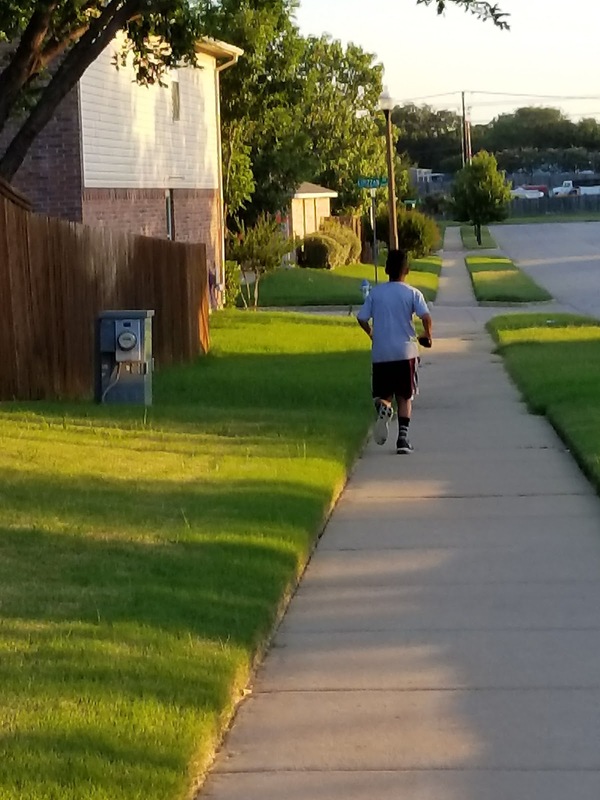 Azer ran 3.4 miles in 30 minutes yesterday for the first time. He is getting so strong, and it is incredible to watch this tiny, scrawny child grow into a strong young man. The Physical Therapist has to fight with insurance companies and Medicaid constantly to get them to cover her treatments. 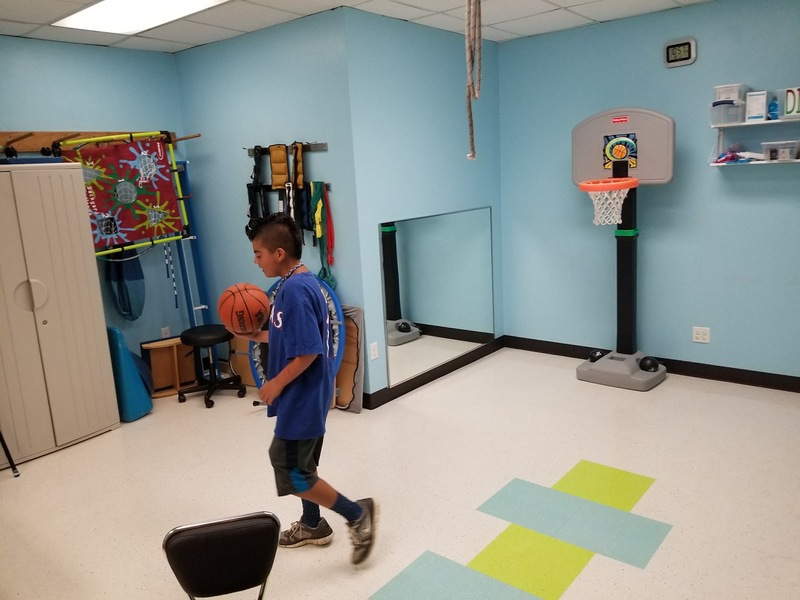 They don't believe that people with CF should need physical therapy. She said the interesting thing she has noticed about treating kids with CF is that most of the time, they need her help for sports injuries. She tells the insurance companies that if CF kids get injured because their so active, and don't get help and can't exercise, they are going to have a much bigger problem on their hands than just PT!